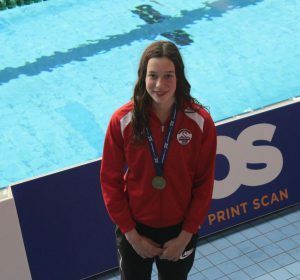 Anaconda SC would like to congratulate Elena Dewhurst on her selection to represent the London Regional swimming team in the new year. Elena , 14 has been selected to compete for London in the Flanders Cup Meet, which is to be held in Antwerp, Belgium on the 20th/ 21st/ January 2018 and sees our British champion competing on the international stage for the first time. The Anaconda speedster was selected on the back of her performance at this years London Regional Winter Championships in November, where she won Gold in the 16 & under 50m freestyle and also for her number one British ranking. Everyone at the club is very proud and wishes Elena the best of luck as she flys the flag for both London and Anaconda SC in Europe. Go smash it Elena!